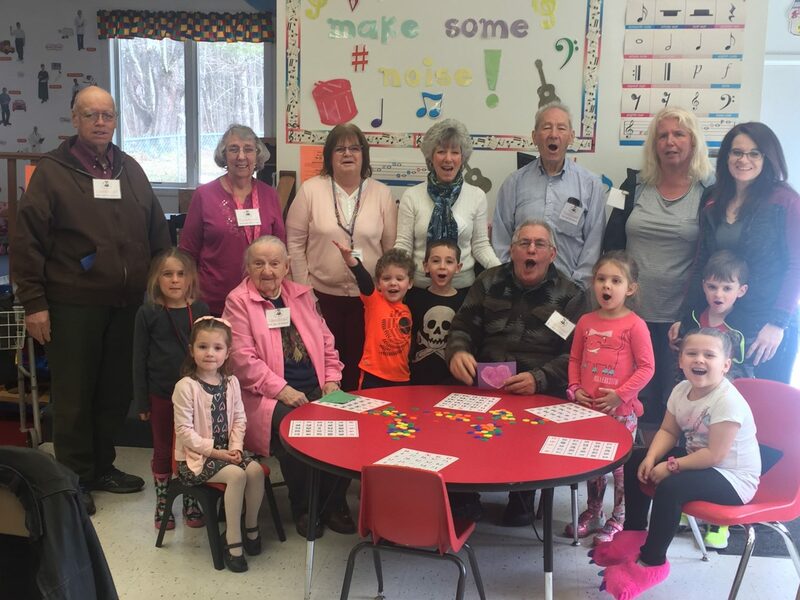 Bringing Community Together Across The Generations At Jack and Jill School we believe there is such a richness in learning and play when seniors and children are brought together. Both groups have so much to teach and learn from each other that the result of these programs is always magical. We value all generations, and we have several programs that bring seniors and children together to form fun and meaningful relationships. We invite “Grandfriends” in our community to come to Jack and Jill and participate in a variety of planned intergenerational activities. 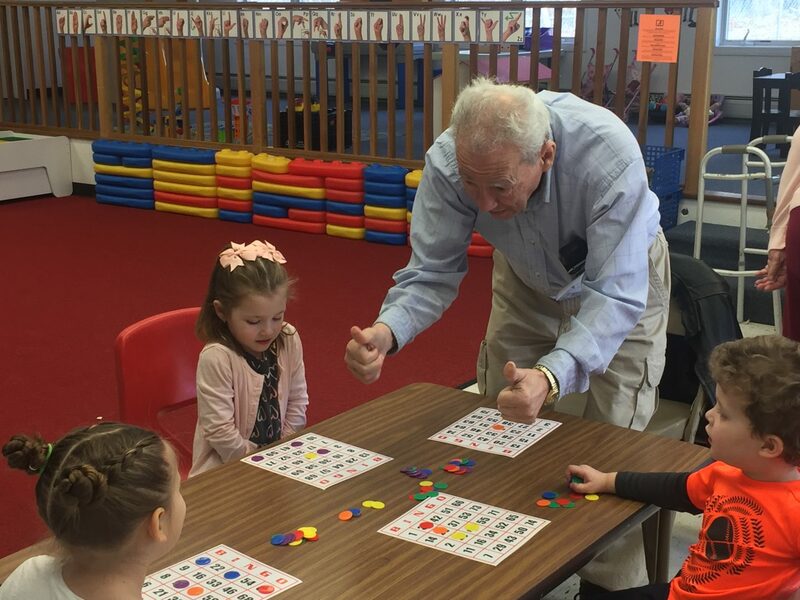 These fun activities include playing Buddy Bingo, Gardening, participating in Laughter Yoga, Tai Chi, Sing-A-Longs, Story-Art Hour, and any other group activity or project the children and seniors may want to participate in… the sky is the limit! 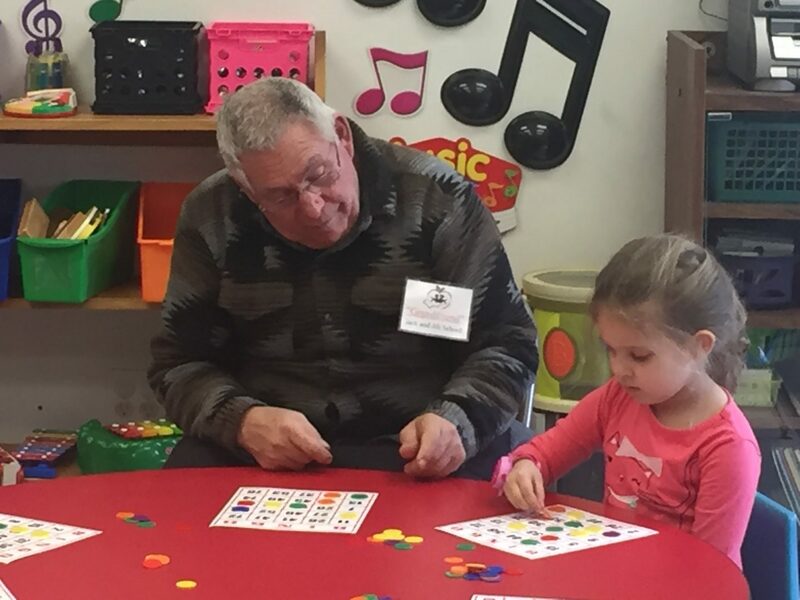 During our “Story-Art Hour”, children have the opportunity to share and listen to stories with their “Grandfriends” and then they create a special art project together that ties into the story theme. 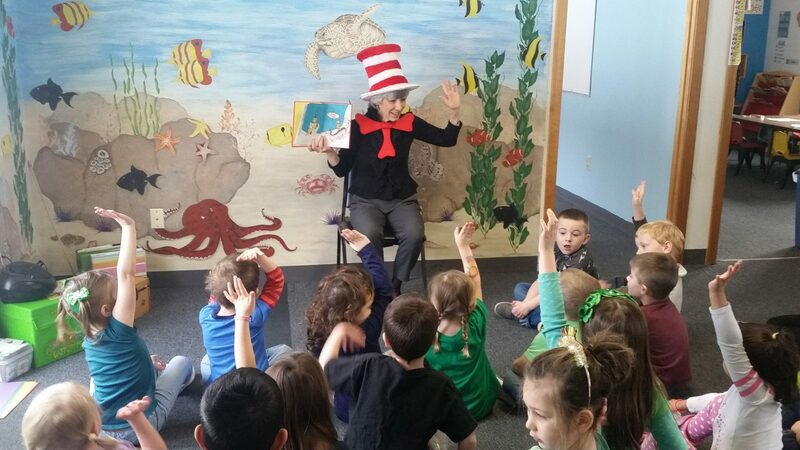 (Our stories are woven into the preschool themes and seasons to enhance learning across curriculum content). This is always a favorite intergenerational activity ~ you hear rich conversations and see hearty smiles all around! Creating, Sharing, Listening, Reflecting, and Caring are the building blocks used to “bridge the gap” between young and old. Intergenerational relationships developed around these principles teach a child how to create confidently, share willingly, listen intently, reflect thoughtfully, and care wholeheartedly. These characteristics lay a solid foundation for children to be successful in life. Intergenerational opportunities support positive interactions for both young and old participants regardless of whether the game is completed, or the art project finished. The whole is greater than the sum of the parts! If you are a senior and would like to be part of our fabulous Intergenerational Program, please call us @ 332-3177 ~ we would love to speak to you! If you are a senior and would like to be part of our fabulous Intergenerational Program, please call us @ 603-332-3177 – we would love to speak with you! The Jack and Jill School Legacy continues through the next generation….